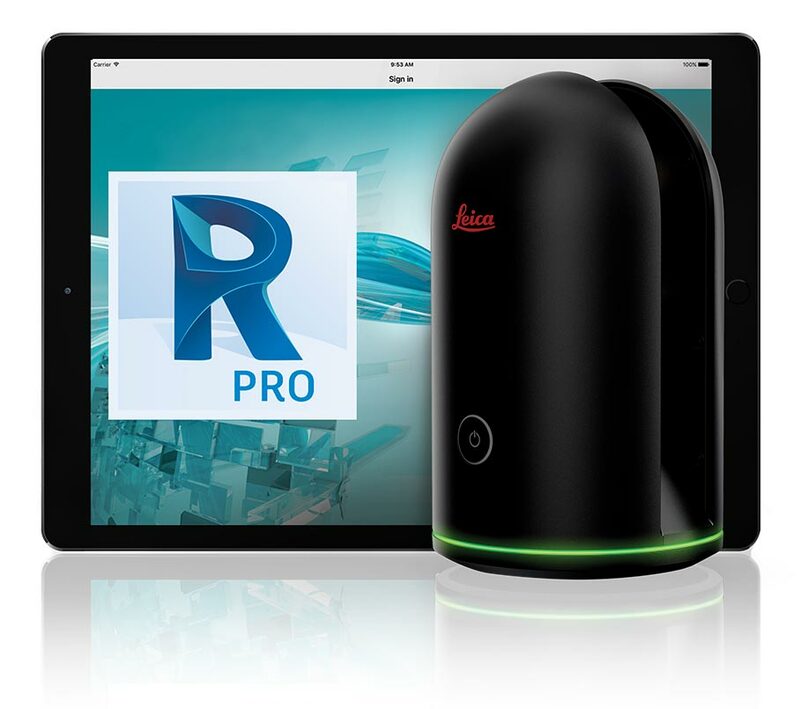 Leica Geosystems created the smallest, most easy-to-use imaging laser scanner in the world: the BLK360. At the same time, Autodesk created Autodesk ReCap Pro for mobile to remotely control all aspects of the data collection process. Reality? Consider it captured. The BLK360 is 16.5cm tall, has a 10cm diameter, and weighs 1.2 kilos. It is, easily, the smallest, lightest Imaging Laser Scanner available. Press the button to turn it on, press it agian to scan. Watch yor progress in real time on an iPad Pro…or don’t: You can just press the button to scan and download your data later. <3 min for complete fulldome scan and spherical image. The BLK360 can be used both indoors and outside. The controller for the BLK360 is an iPad Pro (not included) and every BLK360 comes with a 1-year Autodesk Recap 360 Pro subscription that includes the Recap 360 Pro app that Autodesk designed specifically for the BLK360 and the iPad Pro. For more information, incuding use case scenarios, sample data, and training videos, check out Leica Geosystem’s BLK360 Web site.